You are here: Home › Accreditation › 2015 › Winter › Who Tempts College Administrators with Fake Accreditation? Who Tempts College Administrators with Fake Accreditation? She patiently slumps in the chair across from your desk. You hang up the phone and apologize for making her wait. Next you tell her how happy you always are to see an alumna like her. Then she begins. Now her words change from sobs to cold accusations. She straightens up in her chair and accuses, “I asked about accreditation before I applied. You misled me! You conned me into doing something I wouldn’t have done if I understood things better.” She turns her face away and mumbles something about having wasted two years. After she leaves, you have time to consider why you chose that cheap and easy accrediting agency. Is it really just a way to con students who do not know what to ask? Is fake accreditation a tool for building my own kingdom instead of God’s kingdom? Am I proud of this? Is this what I dream of accomplishing for God? Was the degree-mill accrediting agency a mere temptation that knocked me off track? Certainly our status would improve with a better accrediting agency. And I guess a better accrediting agency would also help us actually become a better school. But how could we achieve that kind of accreditation? Is real accreditation within your reach? If your school has at least 25 to 50 students, growth potential, and a constituency of people who want your school to succeed, Agron & Associates can probably help you. 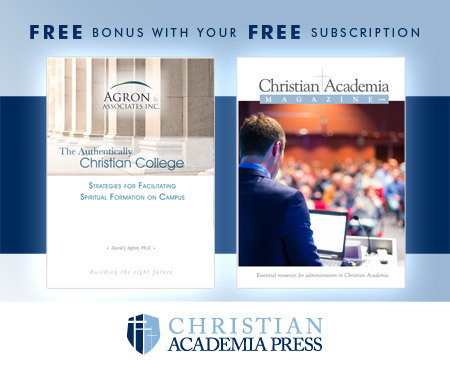 The three biggest problems that hinder a school from achieving accreditation are lack of students, too small a budget, or a short-sited educational / ministerial philosophy among the leadership. If your school has too few students, we will help you choose some student-recruitment strategies. If your school is underfunded (and most unaccredited schools are), we will help you start to build multiple streams of income. Leaders’ philosophy of ministry can be a bigger problem. If you are not deeply committed to equipping students for effective service to God, then the shortcuts you might choose could torpedo your efforts. However, chances are you would have already quit reading this article if you did not care about what you accomplish for God. Quality equipping takes work, time, money, and more work. Agron & Associates cannot take all the effort out of accreditation, but we have the expertise to take small schools through the process. We cannot offer you a quick fix, but can help you to become proud of the ministry we will build together. Let us help you, your faculty, and your board become more effective. As your better- equipped graduates bear more fruit, you will prove that your life’s work was a ministry worth accomplishing. What Happens to the Bible Core When Colleges Leave ABHE?